The Dylan Nickel Bench KIT is available as shown. 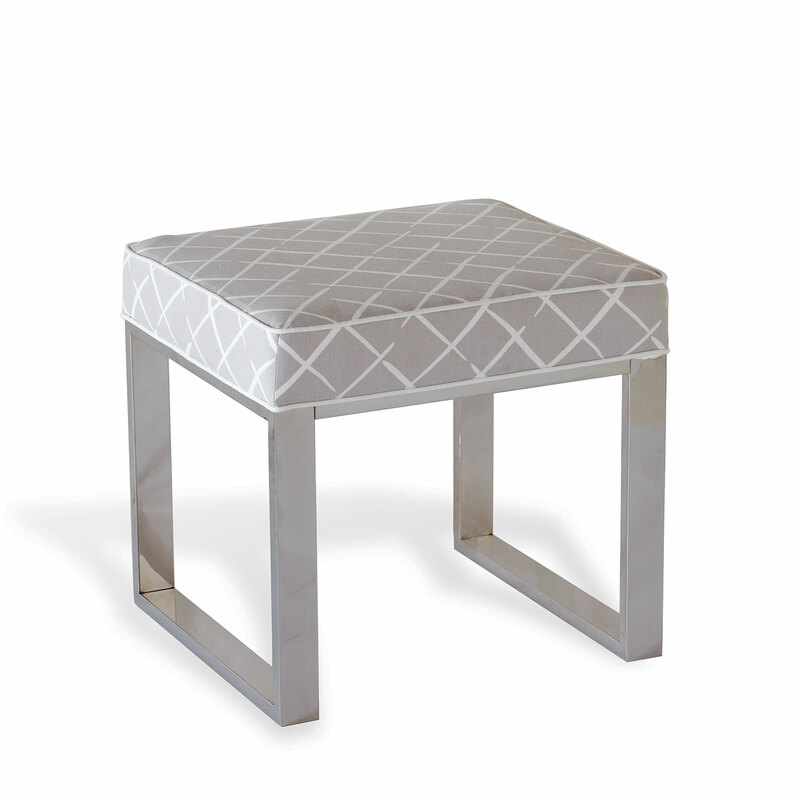 The nickel finished steel frame features a upholstered top cushion covered in Madcap Cottage printed “Coves End Oyster” fabric and highlighted with white welt trim. Bench Kit is also available with a polished brass frame. Production time is 3-4 weeks from our custom upholstery department in Chicago.